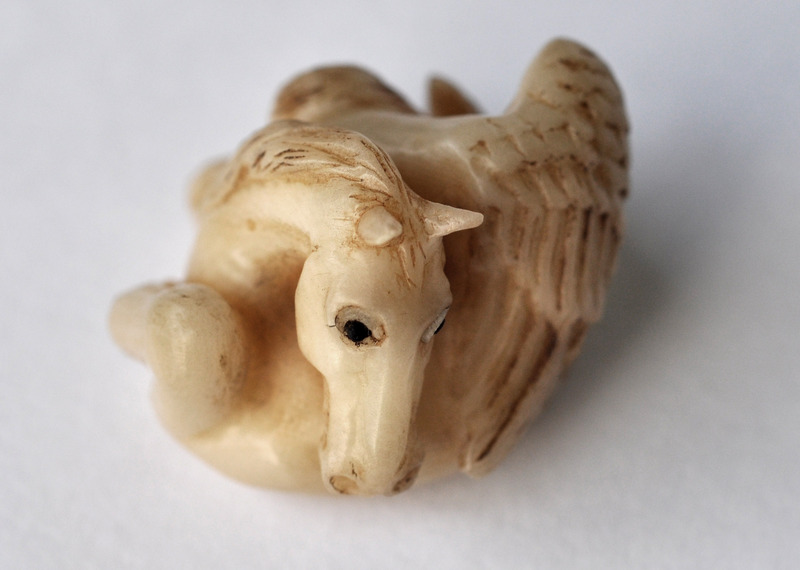 In this workshop you will look at historical Netsuke carvings for inspiration and reference animal forms to create your own contemporary Chimera. While traditional Netsuke is carved using hand tools and techniques, the class will focus on the use of power carving tools to create the same effect in a fraction of the time. We will start by modeling a quick mock-up, working out the basics of stylization in soft wax or clay, and then proceed to carve the same form out of tagua nut, an environmentally preferred alternative to ivory and bone. Students will learn to use a variety of burs, gravers, and finishing accessories for a flexible shaft machine. Some carving experience is recommended.